Date up to 8 characters (numbers as shown). 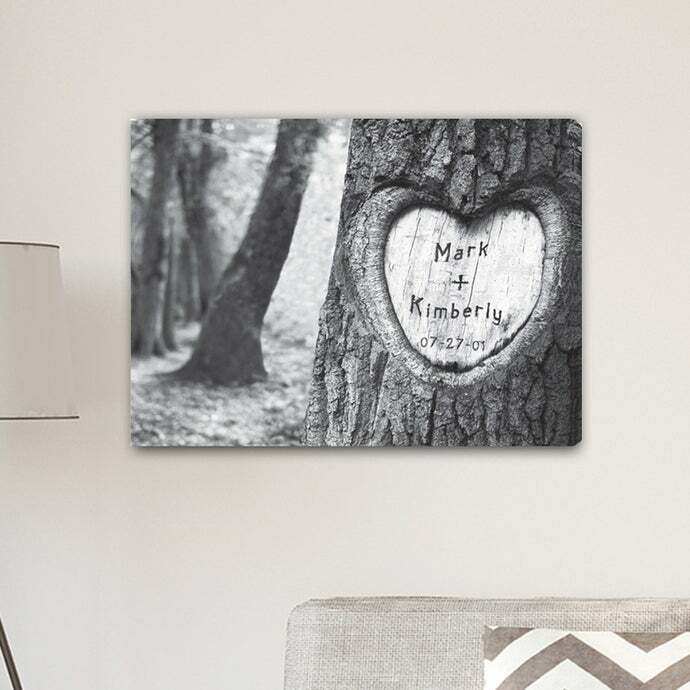 This Tree of Love Canvas Print exemplifies a couples commitment in a time honored way. A tree carved in the couples names with a date is the perfect gift that will also serve as a piece of art. This Canvas is personalized and printed on stretched canvas.